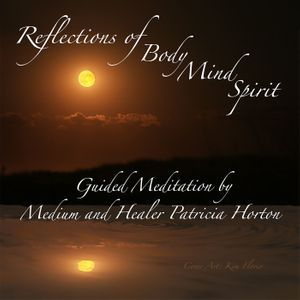 Join Medium Patty Horton, one of today’s most Insightful Spiritual Teachers in the Chicagoland area for a full day of self-discovery. The day will move into the evening and you will find yourself sitting with Gong Master Karen Tlusty. This is where you with bathe yourselves in a Venus Gong Meditation…..
Have you ever wondered if you had the ability to see, hear or even feel the presence of spirit? Have you thought to yourself, is spirit trying to communicate with me? Have you been open to spirit communication but are not exactly sure how to go about it? Patty will help you to answer these questions and more as you learn to navigate the Clair’s for yourself. You will see how they work together with one another and where your own strengths reside in the work. Clairvoyance is your ability to see clearly the images delivered to you in the form of pictures, symbols, landscapes or people. Clairaudience is your ability to hear and understand Spirits voice when they are speaking directly to you. Clairsentience is your ability to feel Spirits presence in the form of emotions and impressions within your own bodies. Clairgustance is the ability to taste a substance without putting anything into your own mouths. Clairscent is your ability to smell something like a food or a fragrance/odor that is not in the room. Claircognizance is the ability to have a clear sense of knowing. For some, all of the Clair’s are utilized when doing a reading or when gathering information for themselves. For others, one or maybe two of Clair’s will be present during times of communication. The beauty of this workshop is this, during your time together, you will explore six of the most common Clair’s. Each of the Clair’s will be explored individually so that you can gain a deeper understanding of them. You will then use the Clair’s in conjunction with one another to amplify the way Spirit is communicating with you!!! When working directly with the Spirit World, each person will have an experience, that will speak directly to them. Throughout this day you will each have an opportunity to understand your own direct link with the guides, teachers and even your own loved one’s. This is where the Clair’s will make their presence known and communications will commence. How all of your senses are heightened when you understand which Clair you are drawing from. All levels are welcomed to the classroom. 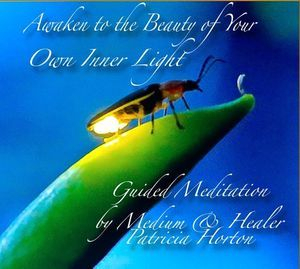 This is where each of you will see how Patty teaches in a down to earth style which is easy to understand. Her philosophy is to keep it simple, this is how the spirit world has encouraged her teach. It is from this platform that all souls are fed from her own place of knowledge and understanding. Everything in the universe is made of vibrations. By taking the time to surround your body in sound vibrations you can restore vital energy that is depleted during daily activities. By listening deeply you can….. There is a 4% service fee for all credit card purchases and price at checkout will reflect this fee.